Read this article to know the most happening and critical SEO trends in SEO right now. Know how to use them for your own website and why they are important. The field of search engine optimization keeps changing. New focus areas emerge every time the leading search engines issue fresh guidelines for webmasters. Besides, the emergence of new devices and technologies are some of the factors that create the need for the adoption of innovative approaches and methods of conducting SEO work. The development of trends in SEO work has been the norm for several years now. 2018 is not an exception. 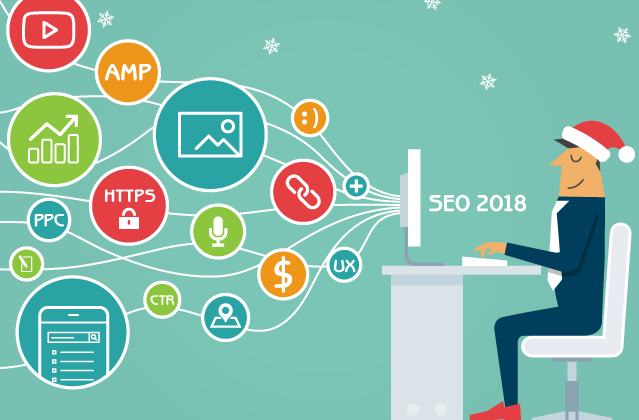 Observers indicate that the year is poised to be one of the most exciting ones for SEO marketers because of the changes that have been taking place in the field over the past few decades. The following is a brief discussion of some of the most critical SEO trends that will matter in 2018. If you use any online SERP Tracker today, you will realize that all search engines tend to favor sites that have accurate, meaningful, and relevant content. Websites that do not pay attention to their content tend to lose their ranking over time. Nowadays, the search crawlers take the time to read all the content that is on websites before they evaluate the sites. Thus, if you have ignored the issue of content that you publish on your site, then you may have to think again. Apart from the way the spiders concentrate on the content that is on the sites that they crawl, another reason that explains why content will continue to be important relates to the audience. People like to get content that is accurate and relevant to their needs. Readers prefer visiting sites that have well-researched content. Therefore, for you to keep your readers satisfied, you must develop and implement a beneficial content marketing strategy. But it is important to point out that this trend is likely to trigger many other related changes. For example, for website owners to make their sites perfect for mobile viewing, they need the input of designers and SEO experts. Thus, it is likely that going forward; all these professionals will concentrate on ensuring that all sites are ideal for mobile users first. This approach will be different from what has been in place in the recent past. In the past, many website owners have been concerned with the speed at which their sites load. Similarly, users have been increasingly demanding for web pages to load very fast. The desire for speedy loading of web pages has been made necessary by the availability of broadband connectivity. As more people access this type of connectivity, they expect the pages that they visit to load within the shortest time possible. But some site owners have been facing a peculiar challenge: some pages are too heavy to load fast. If your site is full of high-quality images and other components that slow it down, then you need to consider ways of fixing that. Search engines now demand that web pages load within a few seconds. For example, Google recommends that for any site to be considered user-friendly, it must have a loading speed of fewer than 3 seconds. This measure implies that an ordinary user becomes impatient when they click on a site and the page takes more than 3 seconds before fully loading. Hence, you must ensure that all your pages load within 3 seconds to keep your visitors happy. Therefore, in 2018, the issue of the loading speed of pages will be critical. In 2018, voice search will continue to grow in importance. According to Google, the percentage of people who are using voice search daily is steadily rising. The firm estimates that about 55% of the organic searches that people conduct on its search engine every day are based on voice. Besides, the firm has been steadily refining the voice functionality on its search engine to facilitate people to adopt this trend. The rise of voice search means that people use keywords differently Voice search presents complex problems to SEO practitioners. Primarily, when people conduct their searches using the conventional typing method, they tend to type in incomplete and even ungrammatical sentences. However, when people use their voices to search for things online, they tend to speak in a conversational manner. The differences between these two ways of querying search engines have a direct impact on the way keywords are used. Going forward, you must change the way you conduct your keyword research to address the demands of voice search. Thus, for you to achieve your SEO goals, you must first consider voice search while researching for keywords and writing content. In conclusion, these are among the many other SEO trends will matter in 2018. For example, the issue of page loading speed is an indicator of the growing importance of user experience. SEO practitioners must ensure that their sites are very user-friendly in general for them to achieve their SEO objectives. Similarly, the issue of voice search is related to how people change the way they use the internet. Thus, as more people now embrace voice search, SEO marketers must revise the way they research for keywords and develop content. Similarly, the rising importance of content means that every website owner must concentrate on developing the right kind of content. It is now necessary for site owners to continually research the content that they publish to ensure that they give their users information that is accurate, detailed, and relevant to the needs of the audience. Hi! Interesting article. Very informative. I'd love to share my professional services to you guys so be sure to check out my site http://georgekane.co/.